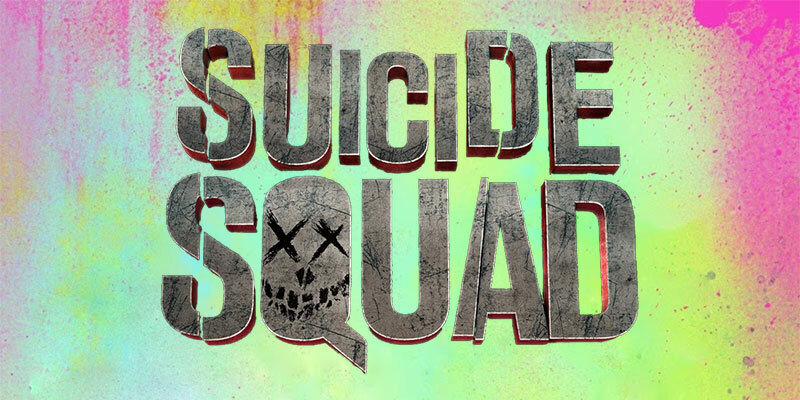 6 movies and TV shows to fuel your Suicide Squad hype + WIN a Suicide Squad Goody Bag! After over a year of build up and countless trailers, Suicide Squad finally hits cinemas this Friday. Suicide Squad sees some of DC’s best villains – including Harley Quinn (Margot Robbie), Deadshot (Will Smith) and Captain Boomerang (Jai Courtney) – forced to form a secretive Government hit squad that carries out dangerous missions in exchange for shorter prison sentences. Some bloke called The Joker (Jared Leto) crops up too. The obvious choice, seeing as Batfleck makes a cameo in Suicide Squad. As the title suggests, BvS sees DC’s big boys go one-on-one, with Batman convinced Superman is a threat to humanity. Pulling the strings is Lex Luthor, reinvented as a quirky tech billionaire who always seems on the verge of a maniacal laugh. It’s not all about Bruce and Clark, though. Dawn of Justice also introduces us to the Justice League, with Wonder Woman jumping in to steal the show from Bats and Supes. BvS got mixed responses earlier this year but it’s honestly nowhere near as bad as some of the reviews suggest. In fact, the extended edition included on the Blu-Ray improves many of the film’s faults. Suicide Squad is the Joker’s first big screen appearance since Heath Ledger’s Oscar winning turn in The Dark Knight, so it seems like a good time to revisit the greatest portrayal of the greatest comic book villain of them all. It’s probably unfair to compare whatever Jared Leto does with the character (apparently he was inspired by Instagram thugs with face tattoos) to Heath Ledger’s agent of chaos. But then again, The Dark Knight is so good that we’ll take any excuse to re-watch it. Before Suicide Squad was a twinkle in his eye, Zack Synder took on another group of superfolk with questionable morals – Watchmen. Although they’re a squad of superheroes, the characters of Watchmen are far from good. In fact, at least three of them would be supervillains in pretty much any other comic book. That’s no surprise considering Alan Moore, the author of Watchmen, is no fan of superheroes (or adaptations of his work, for that matter). Watchmen tears down the myth behind the men and women who save the world, showing that they’re as damaged and complex as the rest of us. Well, the ones who don’t glow blue and have complete control over the universe, at least. Synder’s adaptation of Watchmen is faithful to the comics – apart from one big change. Ironically, Watchmen’s success led to him landing the DC Comics gig and even more superhero movies. We’re sure Alan Moore is thrilled. Numerous internet people have referred to Suicide Squad as DC’s Guardians of the Galaxy. There are a lot of similarities, to be fair: the diverse and weird cast of characters, the jokes and witty banter, the cracking soundtrack. Unlike Suicide Squad’s earthbound antics, though, Guardians of the Galaxy is a space opera in the vein of Star Trek or Farscape. In fact, it’s not much of a superhero movie at all – but it’s still hugely entertaining. Suicide Squad isn’t Will Smith’s first superhero rodeo. That honour belongs to Hancock, in which Big Willy plays a reluctant scruffy superhero who discovers a fellow superbeing. Hancock did huge business at the box office but it isn’t often mentioned when it comes to good superhero movies. It’s a shame, because the first half is brilliant and the second half is pretty good too, even though it’s slightly too sentimental. Sadly, Will didn’t contribute a catchy theme song about having superpowers. We’re giving away 5 awesome Suicide Squad goodie bags over on our Facebook page. For your chance to win, simply like our page and share a picture of your Squad in the post below! Don’t forget, you can also pre-order the Suicide Squad soundtrack from the musicMagpie Store right now! Batman vs Superman vs Iron Man vs Spider Man: Which superhero has made the most money at the movies?